A few of the presentations were more philosophical rather than the technical presentations I was expecting. A deeper dive into what mobile is and how today’s Web Designers and Developers are breaking the web by considering desktop strategy when developing mobile applications. We should be eliminating any unnecessary overhead that stems from desktop frameworks. We should keep in mind that mobile is not unlimited power and a constant connection. Performance is a key consideration as well. I’ve never felt so much energy and geekery under one roof in all my nerdy life. I want to give a shout out to my new friends @jensbits, @karacita1, @toddbudnikas and @casron. One of my favorite things about going to conferences is meeting new people and jumping on hotel beds. 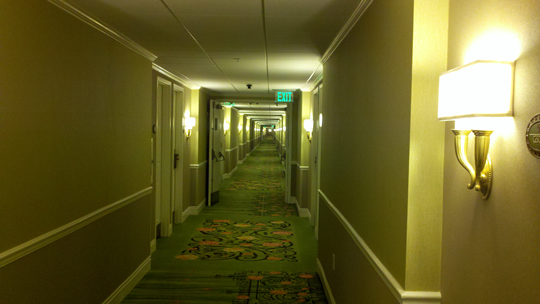 Yea, The Shining…no kidding. I was going a little crazy myself trapped in the terrarium.